Happy Valentine's Day! I read this verse recently, and thought it was perfect for today, and every day. Something to think about and strive for. Live a life of love. I hope your day is filled with love...from friends, family and most of all, Jesus. Happy Valentines Day! 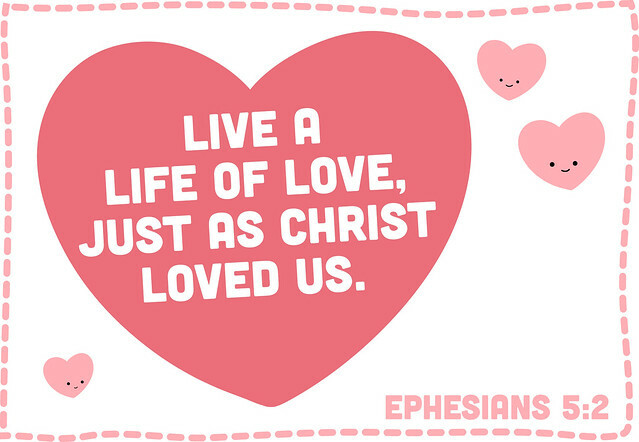 And thanks for the reminder to love like He does ;) May your day be filled with His love too!! I usually read your blog and today I am happy to read those words. Thank you! Great verse. Happy Valentine's Day! Happy Valentine's Day Mollie! Licks from Leela! What a great Valentine - thank you! Can I just say I love everything you post!